Plot 135, Jalan Perindustrian Bukit Minyak 4, Kawasan Perindustrian Bukit Minyak, 14100 Bukit Mertajam, Penang, Malaysia. 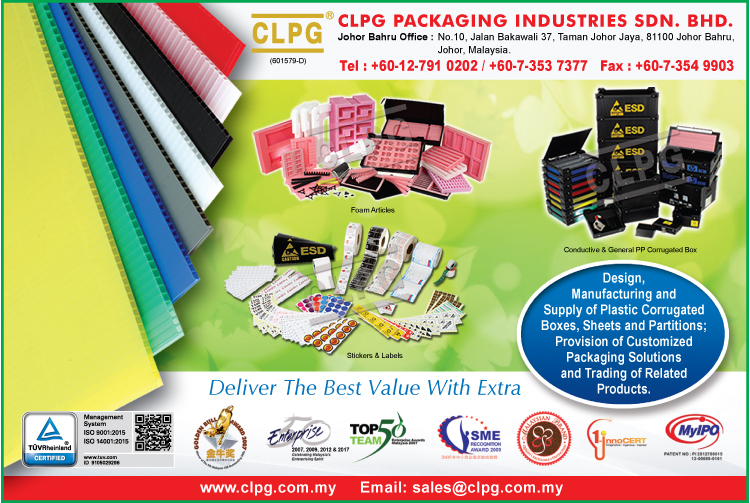 CLPG Packaging Industries Sdn. Bhd. (CLPG) was incorporated on 20 December 2002 and commenced business in early 2003 as a manufacturer of plastic corrugated boxes, sheets and partitions; customized packaging solutions and trading of ESD related products. 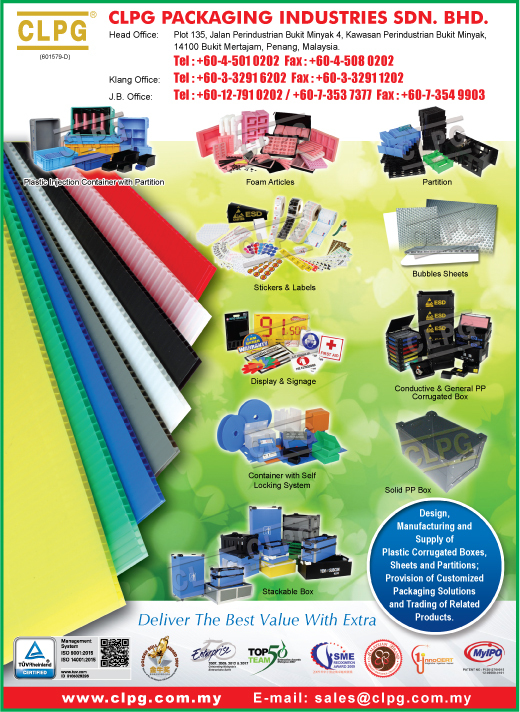 CLPG major customers are from electronic firms, automotive firms and signage industries. Due to its steady growth and expansion plan, CLPG has moved to a new factory lot in Bukit Minyak Industries Park in 2007. CLPG has extended our strength with an Omipa extrusion machine which is well-known by its efforts to concentrate on anticipating progress by proposing innovative solutions and constant improvements tailored to products' requirement.